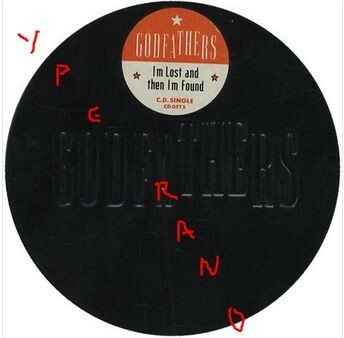 Home / Search by Media Type / CD / GODFATHERS: Out On The Floor E.P CD in a round black metal box. CD GFT5. + Two different versions of “She Gives Me Love” etc. Notes: Came in a round black metal box. They dressed like the Krays and played tasty old school rock that new how to handle itself and didn’t take no lip. It is rather chipper than you might expect: like a knuckleduster wrapped in a velvet glove.